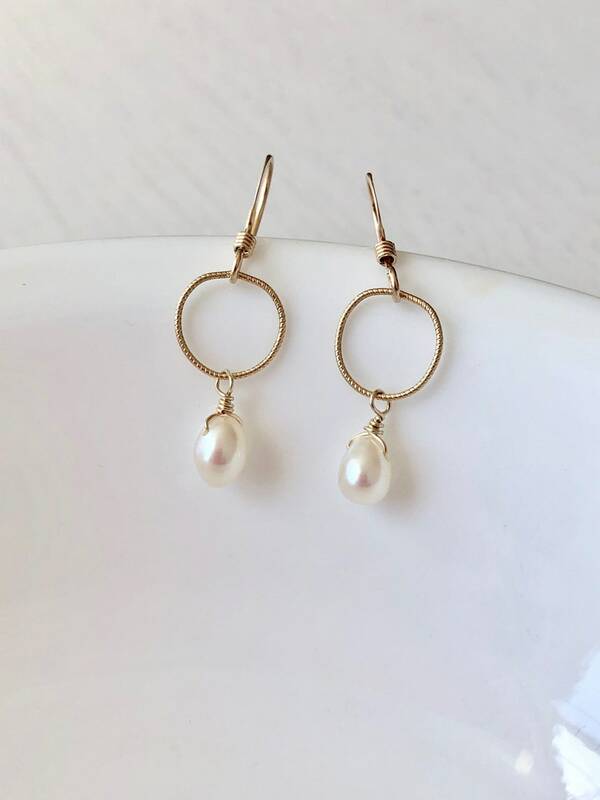 White Pearl Open Circle Minimalist Earrings. 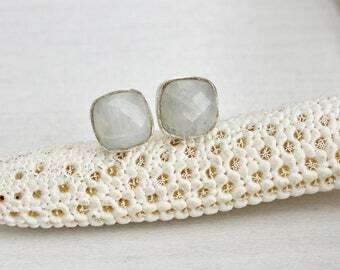 These dainty, delicate drops are classic earrings with a Modern Twist. 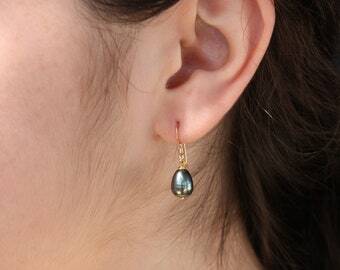 A Simple, Everyday go-to earring you'll find yourself wearing almost daily. 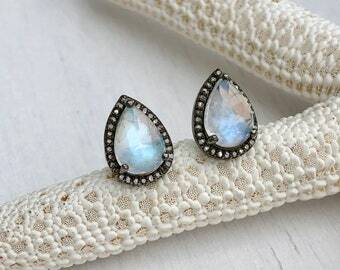 These earrings are perfect for daily use, and are also very understated and classy. 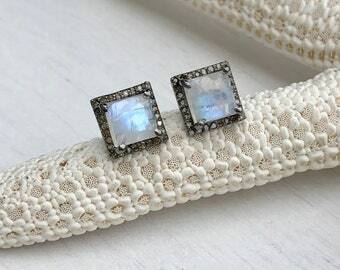 Ideal versatile gift for mother, sister, girlfriend or wife, as well as a super simple "white earrings" on your wedding day. 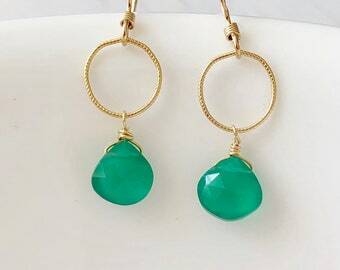 We make this earrings in virtually every color you can imagine. Some of them are listed, but you can definitely request any color of your choice. 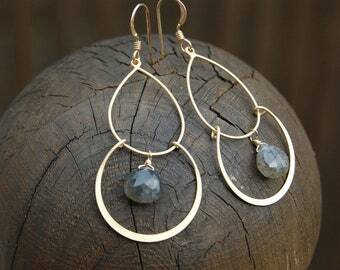 We are gemstone collectors, so great chances that we will have the color you are looking for. 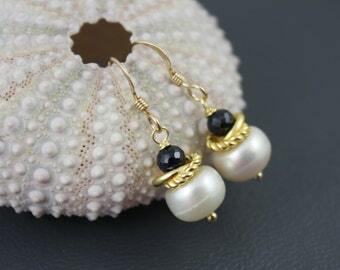 These are ideal Bridesmaid Earrings, as we can make them in any color to match their dresses. - Gift Wrapping Included and Personalized Note Available upon request. - Handcrafted with love at our studio located in the NYC Metro Area. 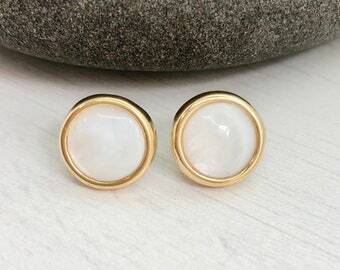 ✦ What is 14k Gold Filled? 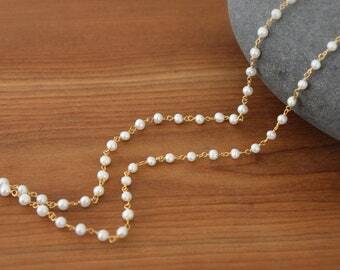 Gold filled contains over 100 times more real gold than gold plated, which makes it very durable and tarnish resistant. 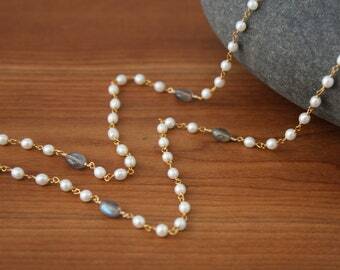 Gold filled jewelry is an affordable alternative to solid gold, and can be worn by most people with sensitive skin.